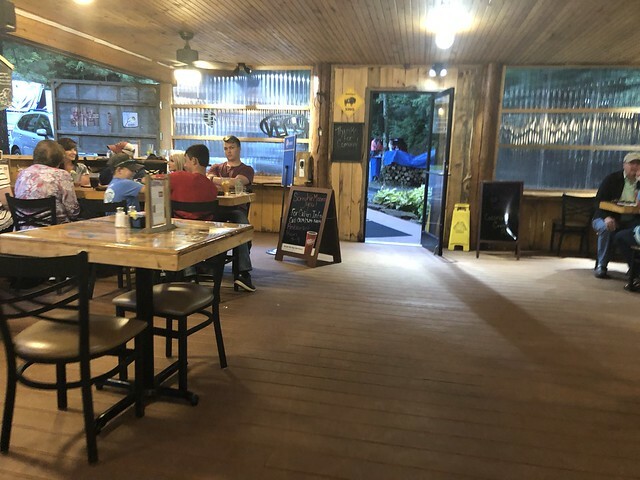 Buffalo Trail Restaurant not only has the dining establishment, but also cabins and cottages. 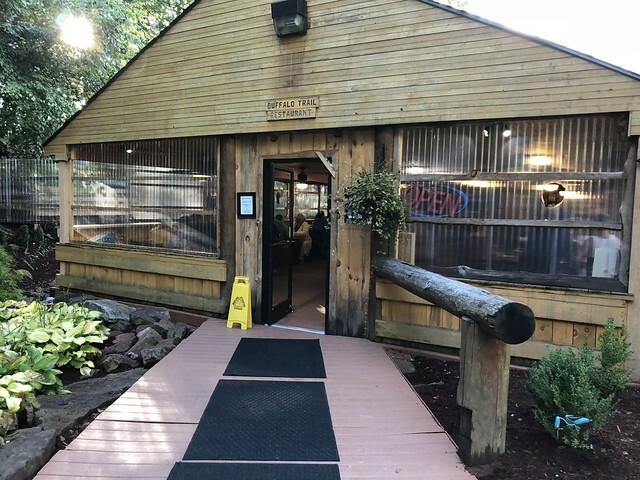 The restaurant has an 85 seat indoor “lodge style” dining room and bar and 85 seat covered outdoor patio with adjacent waterfall and koi pond. 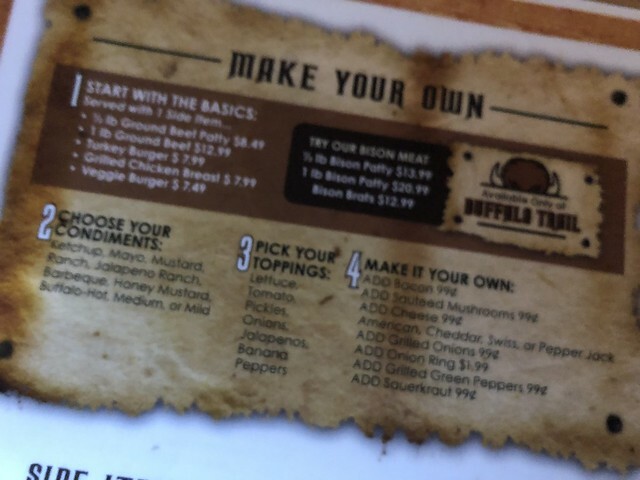 I was seated inside and looked over the menu, where you can make your own burger and one of the meat options was bison. 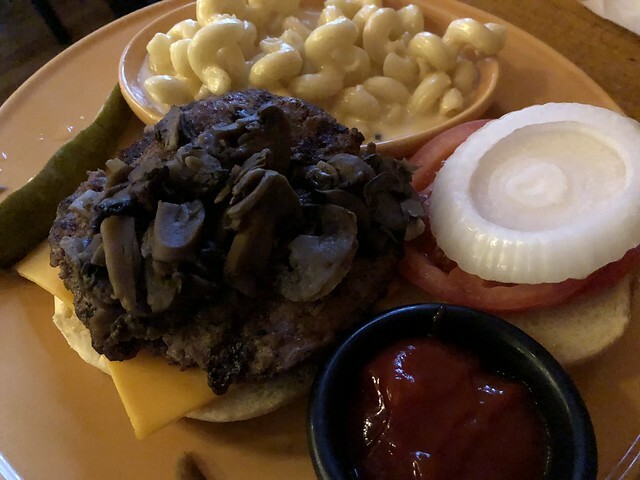 So I ordered a bison burger with ketchup, mayo, lettuce, tomato, onions and mushrooms. 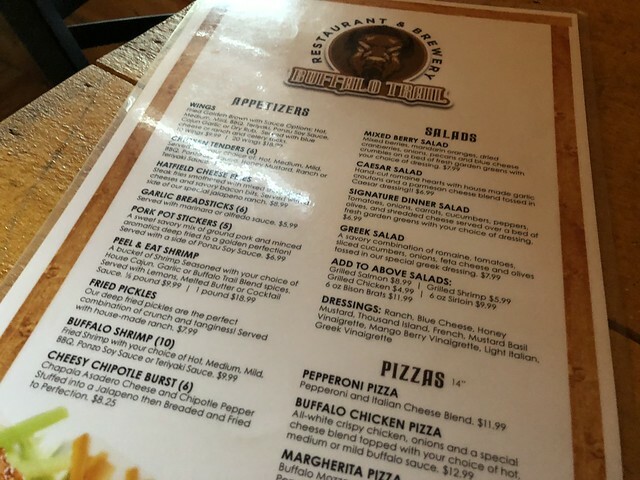 And a side of mac & cheese!